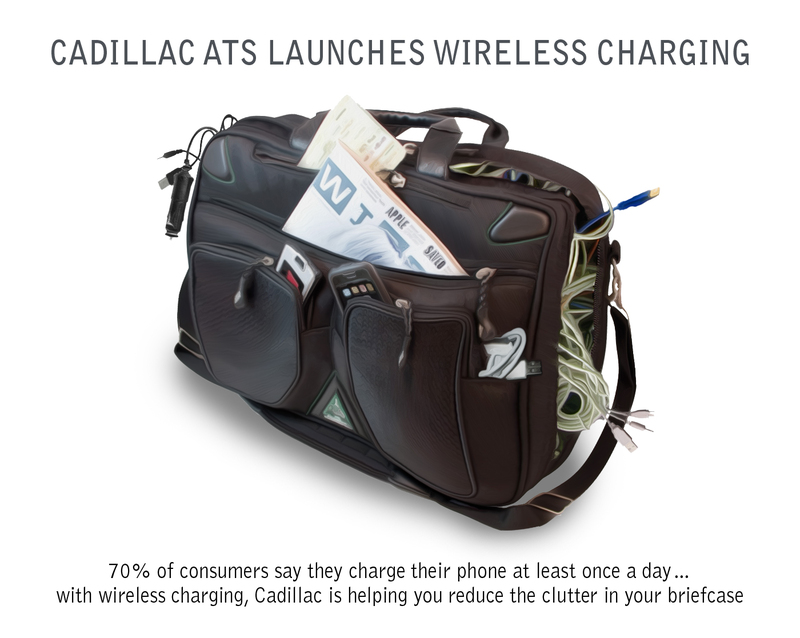 Cadillac today announced that Powermat wireless phone charging will be launching on the all-new 2015 Cadillac ATS sedan and coupe when they hit dealerships this fall. Powermat wireless phone charging will allow drivers to set their smartphones on a rubberized pad to charge via an electromagnetic field while on the road. 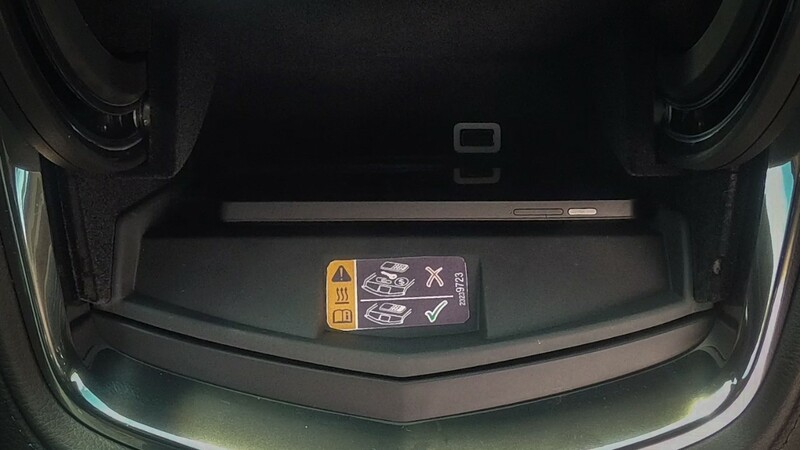 The storage bin behind the fully motorized center instrument panel faceplate will house the Powermat wireless phone charging system. 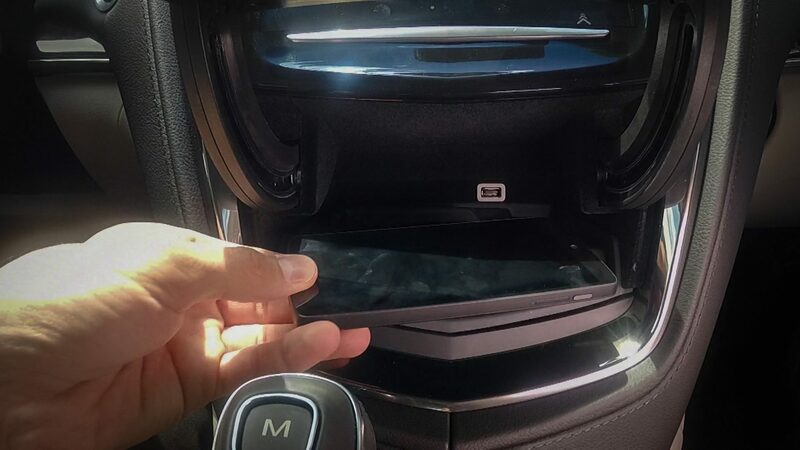 By storing the phone here, drivers will be able to keep both hands on the wheel—and with Bluetooth, drivers can even stay connected without having to physically interact with their smartphones. The technology will be compatible with Powermat and other in-phone wireless charging technologies. Most smartphones are now at least available with such technology, though it is often considered an add-on feature for phones. “A recent survey from IHS revealed that 70 percent of consumers charge their mobile phone at least once per day, with 30 percent charging more than once,” said Ryan Sanderson, associate director, Power Supply & Storage Components at IHS Technology. Following the launch of the ATS this autumn, Cadillac and Powermat will bring the wireless phone charging technology to the CTS sport sedan and the Escalade SUV. We recently posited that DockSpot would be appearing on select models. We were kind of right, eh?